Developments in the catchment must have a neutral or beneficial effect on water quality. Developments in the Sydney drinking water catchment must have a neutral or beneficial effect on water quality. To ensure water quality continues to be protected in the Sydney drinking water catchment, all proposed developments that require consent under a council's local environmental plan need to have a neutral or beneficial effect (NorBE) on water quality. Under State Environmental Planning Policy (Sydney Drinking Water Catchment) 2011, proposals need to be assessed to identify potential risks to water quality (eg sediment from construction) and ways to avoid any adverse impacts from those risks (eg by applying current recommended practices and standards). Possible impacts on both surface and groundwater are considered as part of the neutral or beneficial effect on water quality assessment. Development proponents need to demonstrate their proposal has a neutral or beneficial effect on water quality for new developments, expansions of existing developments, or any changes in works on their land that require consent under a council's local environmental plan. The neutral or beneficial effect on water quality test does not apply to existing land uses (unless the original development consent was for a limited time or area eg: mining). how it will help councils, applicants and consultants. WaterNSW has developed an online assessment tool (the NorBE Tool) to enable councils to undertake their NorBE assessments. Consultants are also able to access this Tool to undertake a NorBE assessment for their proposed developments and lodge these to councils for assessment. Please contact WaterNSW regarding access to the NorBE tool. NorBE User Guide for Consultants (PDF, 1987.36 KB). 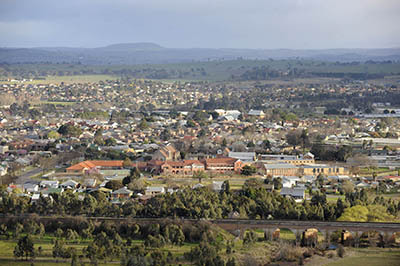 WaterNSW also provides training and support for councils and consultants to undertake NorBE assessments. Where applications are referred to WaterNSW for concurrence, they are processed within 40 days. Appropriate use of current recommended practices (CRPs) and standards is an important part of the NorBE assessment and the conditions of consent/concurrence. One of these CRPs, WaterNSW's Water Quality Information Requirements Document (PDF, 401.8 KB) describes the different reports and modelling you need to include with a development application, and how they vary for different types and scales of development. You can also access other CRPs and standards . WaterNSW also provides standard conditions of concurrence to assist councils with preparing their conditions of consent to appropriately mitigate any water quality issues identified in the NorBE assessment. Water NSW has prepared this publication to assist councils with understanding the NoRBE requirements for development approval.